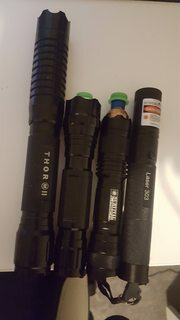 Hello and welcome to my review of the THOR M2 laser I bought from ebay here! Yes this is quick review but I hope you enjoy reading. 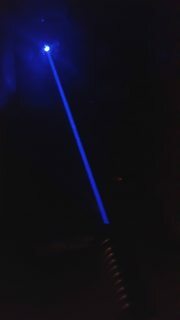 This is my first high powered laser that has found itself into my collection! So far it has been used for a few months with no problems. This made me think "I need to review this now it's been too long." so now is the time to do it. Obviously I purchased some Eagle Pair OD6 190-540nm goggles as I do need my eyes for future use. The seller "ayoboxcom" has some great reviews. "ayobox.com" redirects to laserpointerstore so I am guessing ayoboxcom is the owner of Laserpointerstore? Either way, being the unsocial person that I am and having no issues with shipping meant I never had to interact... phew. But on a serious note the seller I would give a 10/10. No problems at all. To be completely honest... shipping was ok! From order date to arrival date it only took 9 days from china. (21st-30th November). Estimated arrival date was 19th of December according to ebay. The laser made it swiftly through customs with batteries inside inserted opposite way they should be inserted. This could be to prevent accidental switching on during transport. The laser itself came in a bubble wrap which was inside a card box. This was inside a smallish box. 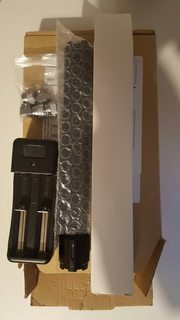 Inside the box was also some simple stadard pattern caps and a charger (cheappppppp). Packaging: 7/10 - pretty basic but got the job done. I thought it would be best to save the laser until last (You have probably skipped to this point anyway). 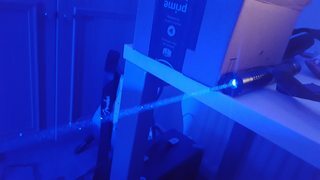 The laser is not tested but probably around 1.6watts. The laser can burn cardboard and leave an ember from about a meter away when focused to infinity. When focused to a small dot it can burn from quite a distance around 8 feet probably more but obviously not as good as being close to the object. The Host is amazing. Black host with a tactical look to it. 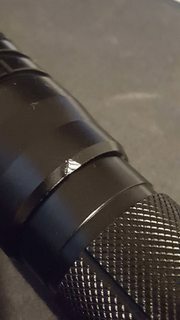 The threads which screw the laser together are smooth. This lasers host doesn't feel cheap at all. The only problem I did encounter with the host are small sharp bits that probably have something to do with the manufacturing of the host These are 2 very small chips but they do not affect the overall looks too much. The mechanism to turn the laser on is an on/off button on tail cap which is simple and easy to use. I remove my batteries just in case anyone manages to get hold of it. Host 8/10. 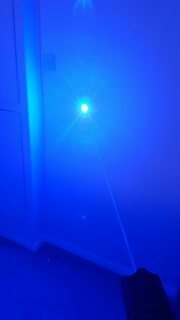 You should 100% buy some safety goggles as this laser will fry your eyes even when just looking at the dot on a wall. I am not willing to test this and I do not recommend trying it out yourself. Just get the goggles and be mature. I Do not have any photos of the beam in the sky due to low flying planes (3500ft-4000ft) above the house. The beam has a divergence of approx 3.6mRad which is pretty normal for a blue laser of this value. The Lasers weight without batteries is 0.2Kg. The beam is also straight and aligned with the host. The focusing mechanism is at the center of the host. 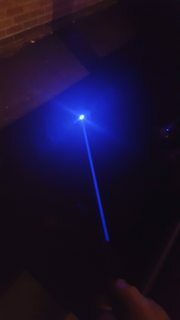 Its crazy how bright these lasers can get at this price and did not expect it to be this bright at all. 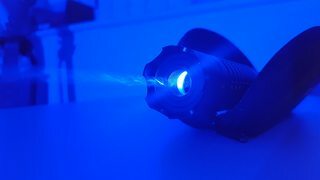 With this being my first review in a long time, I am sorry if I have not covered everything and if everything seems biased due to this being my first powerful laser. If there are any questions I will be happy to answer them for you. Thanks for reading, hope I didn't waste too much time of your lives. Good review and good pictures, +rep! The Thor has always been one of the few reliable eBay lasers. Good choice. Thanks for sharing this review with us, Enjoy and be safe. 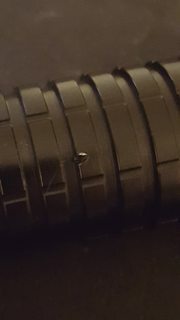 You can't go wrong for £52.60 total inc. S & H, it's too bad that it has those two sharp little dings in the host, otherwise it would have been perfect. Thanks, Yes £52.60 isn't bad at all. This was to ease myself through to become more comfortable handling higher power lasers. 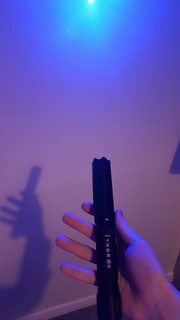 Will be doing a review soon on my SurvivalLaserIII so more to come! Nice review, Narwhalz. Very comprehensive for lack of an LPM. Not a bad price for this laser, but I do wonder what the optical power is. Using two 16340 batteries tends to make me think the power is lower than others, but IDK for sure. Nice review, Naewhalz. Very comprehensive for lack of an LPM. Not a bad price for this laser, but I do wonder what the optical power is. Using two 16340 batteries tends to make me think the power is lower than others, but IDK for sure. I have to stop using my phone to respond to and post here. It leads to terrible spelling mistakes. I look forward to your update with an LPM, Narwhalz. You can't really get a good estimate by sight alone. Well, that should give you a ball park estimate of the power of this one. Good review and good pictures.